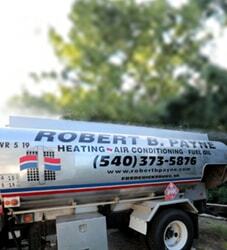 Best Geothermal HVAC Services Fredericksburg, VA | Robert B. Payne, Inc.
HVAC Services in Fredericksburg for heating, ventilation, and air conditioning consistently maintain that some of the best systems on the market are those that work geothermally. As such, the Robert B. Payne, Inc. crew often expresses the value in geothermal heating and cooling to any customer we have. This method is not only energy efficient, but it can save you money on HVAC costs. Geothermal heating alone is a huge money saver. This process involves a heat pump that is continuously pumping cold water – water that is converted from the cold air drawn in your home – down into the earth through piping that reaches 20 feet underground. This location 20 feet below stays the same temperature during every season. When the air outside is 30 degrees, the ground underneath it is a consistent 60 degrees. This steady temperature is utilized: the water is run through pipes at more consistent temperatures, meaning the water pumped back up into the heat pump is warmed from the underground heat. From there, the water is converted to warm air that can heat a home. Geothermal cooling works in a similar way. 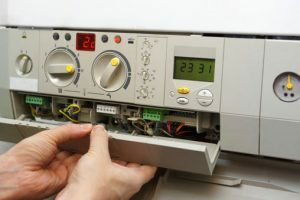 The heat pump in a cooling setting pulls in warm air, converts that to liquid, and then pushes that liquid through the underground piping system. This allows the liquid to be cooled by the geothermal temperature, and then pumped back up to the heat pump which converts that to cold air. This system really takes advantage of the natural temperature processes underground. Residential geothermal heating and cooling is really an innovation. It has become an extremely energy-efficient way to utilize the earth’s natural processes to heat and cool a home. Homeowners in Fredericksburg have been able to save a significant amount on their utility bills due to implementing a residential geothermal system. What is the upfront cost of installing a geothermal system? Generally, the upfront cost of installing a geothermal system is twice the cost of the average air system. However, the energy savings you will receive far outweighs the initial investment. The system pays for itself rather quickly. What is the average lifespan of a geothermal heating & cooling system? Geothermal systems last much longer than traditional cooling and heating air systems. Geothermal systems last around 25 years, which is more than twice the average life span of air systems, which average around 10 to 12 years. Is a geothermal system right for my home? Geothermal is a great option for homeowners who intend to stay in their homes for more than ten years. If you move frequently or have plans to move, you may not enjoy the energy savings as long as someone staying put. However, a geothermal system can make your home much more attractive to potential buyers and significantly increase the value of your property. Will a geothermal system work in my home? One of the biggest considerations when installing a geothermal system is available land. During the installation process, there are two types of digging that may be done: horizontal or vertical. Horizontal digging requires more land space but is less expensive, but also less efficient. Vertical digging is more expensive but requires less land, and overall yields a more efficient geothermal system. In order to determine if a geothermal system will work for your home, it is best to have a contractor look at your property. An experienced contractor would be able to make suggestions and go over your available options. If I purchase a geothermal system, am I eligible for tax credits? Currently, there is a 30% federal tax credit when you install a geothermal heating and cooling system. Tax credits are announced each year and may change or expire at the end of the year. 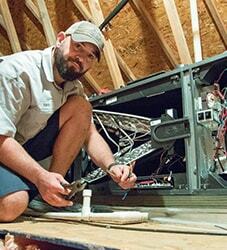 If you are interested in taking advantage of a 30% federal tax credit, make sure to confirm that the credit is still available before you schedule your installation. 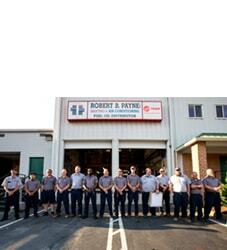 For guidance, questions, or concerns, contact Robert B. Payne, Inc. at (540) 373-5876. Our team can help you make the geothermal transition you’ve been wanting to make!